This crazy-looking caterpillar gave us all quite a scare this morning. When I came into the room, the first thing I did was say good morning to the girls, then checked on the caterpillars. The spice bush caterpillar is missing! How did it get out of the tower? I searched around the table, but could not find it. Depressed, I went downstairs to pick up the class. As we entered the room, I told the kids what had happened. They all started searching for the caterpillar. Timothy shouted, “It’s over here, Ms. Lenahan!” This sneaky bugger wandered about 12 feet from the tower and was on a box under the rat’s cage! Holy moly! Questions for the students: Why do you think this caterpillar looks the way it does? 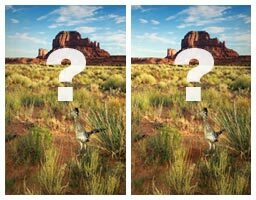 What purpose do the eye spots serve? Please post your answers in the comments! I found this site this weekend and thought I’d share. I want to post lots of websites here for you all to use this summer. If you have any good ones you’d like to share, let me know! Make sure you scroll past the wallpaper and desktop themes and go to the Eagle Eyes Game! I got a call from Marylee on Friday night. Almost 9 o’clock pm. It can’t be a bird call, it’s too late, it’s too dark, I’m at Petsmart, please don’t be a bird call. “Don’t you answer your phone?” she shouted at me. “I am shopping at Petsmart with Scruffy. What is going on?” I nervously asked. 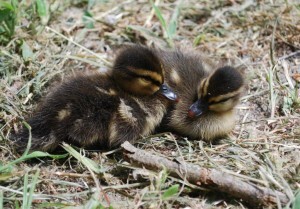 30 minutes later, I now have two peeping, teeny mallard ducklings in the back seat. Scruffy nervously pricks his ears to every tiny peep that comes from the box. It is getting late and I am due to drive to John’s house tonight. What should I do? I can’t drive the ducklings anywhere tonight. I am going to have to care for them now until I can get them to a rehabber. When we arrive home, I carry the ducklings and Scruffy from the car to the yard. Scruffy bolts for the door as I gingerly carry my precious load into the house. I set up the ducks in the bathroom, soften some duck chow with water and place it next to them in the tub. Yummy! They eagerly dig into the chow, peeping loudly. Fast forward to Saturday morning. Ducklings are now at John’s house, a playground for wild animals. 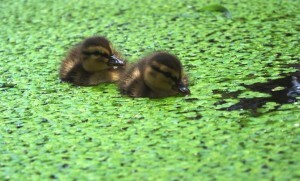 They run around the yard, jump into the pond, swim around to their heart’s content. I watch them patiently and cautiously, as a momma would. Are they in the water too long? are they cold? hungry? 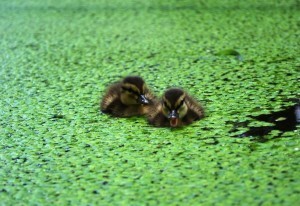 I grab them from the duckweed and dry them with a towel. They huddle next to me for warm and security, snuggling next to each other, peeping softly. Fast forward again, Sunday afternoon. I carry the box of ducklings to the rehabber who takes them with a smile. “I will take good care of them,” he reassures me. Tell me a story, I'm sleepy! That was a good one! LOL!